Is Islam holding the Arabs back? 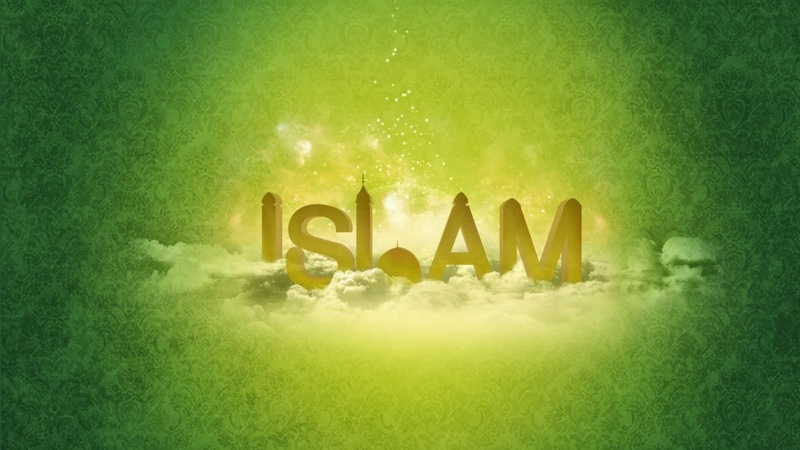 Contrary to what has been told us, Islam may be the most sterile philosophy to have captured the mind of man. No other philosophy so thoroughly destroys whatever people it has gotten a grip on. Once Islam is firmly in control, the society not only halts in its progress, but actively devolves. The greatest lies come from the patent fabrications about Islamic Spain. Ah! The glories of Moorish Iberia, what the Arabs called, and still call, Andalus. So let's dispel the myths about Andalus(ia) and Moorish rule in Europe. The first myth we hear is that the Arabs gave us the Arabic numeral system. Actually, the concept of zero, and the numeral system, were invented by Hindus. The numeral system was merely brought to Europe by the Arabs. Had the Muslims not cut off trade routes to India, Europe would almost certainly have encountered the system independently of Islam, and probably sooner. Ah, but didn't the Arabs give us algebra? Well, they might have given us the name (Al-Jabr) but a lot of their logic comes from Greek texts. The first major codification of algebra seems to have been made by a Persian, Mohammad ibn Musa al-Khwarizmi, famous for the first treatise on systematic solutions of linear and quadratic equations. However, it is now known that his work is based on older Indian or Greek sources.' In fact, it is not clear if he was even a Muslim. He may have been a Zoroastrian. Another epithet given to him by al-Tabari, "al-Majusi," would seem to indicate that he was an adherent of the old Zoroastrian religion. This would still have been possible at that time for a man of Iranian origin. The inventor of algebra may not have been a Muslim after all. Even if he was, he was reared in a society so recently invaded by Islam that it still retained a spark of its pre-Islamic genius. That light would perish soon enough. What of the medical genius brought to Spain? Greek texts and Jewish doctors. Need I say more? The most famous medical mind during that time was arguably Moses Ben Maimonides, a Jew who had to flee Spain because of Muslim excesses under Almohad rule: 12th century puritan Islamists. Christianity predominates. Of course, we have been trained to credit Islam with this elegant style, when it was actually the reverse. All the Muslims did was to steal it from Eastern Christians and then re-label it as made by Islam. The list could go on. The glorious aqueducts used by the Muslims in Spain were built by the Romans. They may have fallen into decrepitude with the collapse of Rome, but the idea behind them was not the product of Islam. All Islam did was clean out the gutters of accumulated trash; and extend the culverts as needed. This is a constant pattern of Islam. It invades a society where, for a century or two, there is enough remaining pre-Islamic genius to echo on for a while. Over time, coerced conversions increase with the accruing stupefaction of national intellect. As the light dims and goes out, the Muslims, now thoroughly in charge, take the credit for the former flame lit by others. Whatever genius does come out of Islam is the echo of a pre-Islamic past. The Golden Age of an Islamic Conquest is actually the Last Hurrah of the former civilization. After conquest, the creative period remaining is brief, and after two or three centuries of Muslim rule, senility and reversion set in. Our Western academics, who should know better, accept this Islamic subterfuge of history, and pass it on to posterity. The reverence that Islam still holds for the glories of Spain indicates Christian Spain held a genius that Islam could not generate within itself. London, Paris, Madrid, Rome, Berlin: all were the centers of empire; and all produced and still produce genius. What has Mecca produced in the past 1400 years? All empires draw talent inward, except Islam, where genius exists only at the periphery where Islam is weakest. The center of Islam, the Arabian peninsula, has been moribund since the 8th century. Islam must expand. It is a parasite. Without new conquests, it dies. This is why it cannot surrender any territory. This is why Israel infuriates them so much. The early Muslims were raiders and bandits. Most of them were illiterate tribesman. Islam gave a veneer of sacred approval to their thievery. If they had any knowledge or skills, it was learned from the Romans, Byzantines, or Zoroastrian Persians. How much of what can be traced back to the Arab nations is really Islamic? Large sections of Syria, Lebanon, Egypt, and Palestine (as it would have been called then) had considerable Christian populations well into the middle 20th century. These Christians were often more educated than the followers of Mohammed, the illiterate -- as the Muslims claim. Whether or not Mohammed was illiterate is debatable, but his followers believe that he was. More importantly, they admire this illiteracy of Mohammed -- and that speaks volumes. The Muslims could not even invent their own god. Mohammed just borrowed his family's favorite god from the pantheon of Mecca's local deities. Mohammed's father was named Abdullah (slave of Allah), indicating a pre-Islamic existence to Allah. In pre-Islamic Arabia, Allah was used by Meccans as a reference to the creator-god, possibly the supreme deity. Allah was not considered the sole divinity; however, Allah was considered the creator of the world and the giver of rain. The notion of the term may have been vague in the Meccan religion. In a Western context, this would be equivalent to declaring there is no God but Zeus. Hardly an innovation. Mohammed mixed this plagiarism with corruptions of Christian texts and Jewish legends. Islam is the very essence of plagiarism, and poor plagiarism at that. The continuing exodus of Christians from the Middle East is... in fact potentially quite dangerous, and this is true not just for Christians but for Arabs in general. The Middle East may not be able to sustain the amputation of one of its most integral and dynamic components. Whatever the faults of Communism, at least Marxists respected science, and could produce it. Maybe not at the same rates of the Capitalist West, but at some rate. Whatever the faults of Catholicism, it respected intellect, and could produce world -class universities The Jesuits educated whole nations, maybe with a bias; but one could think logically after a Jesuit education. Whatever the faults of Protestant fundamentalism, it allowed for enough dissent that a divergence of thought and creativity could prosper. Buddhism and Hinduism have their flaws; but they could produce math, art, and music. Even enslaved pagan Africans could create music and art. Jazz and Samba came out of the slave experience. But Islamic puritans now want to ban music. Islam bans representational art as idolatry. It covers up women in burqas. Whatever is beautiful, it condemns as blasphemous and idolatrous. It denies that which makes life worth living, while exalting suicidal violence. It is anti-human. No other religion has gone so far down this road. Islam produces almost nothing, but claims to have produced everything. At best, it borrows and transmits the genius of others. Usually, it plagiarizes and corrupts what it steals. Eventually, it destroys whatever it touches. Most embarrassing is the success of those Arabs who have left the Islamic world. Ecuador has had three Arab presidents. Colombia has had one Arab president. El Salvador, one. Honduras, one. Argentina, one. The Dominican Republic, two. I won't even list the vice-presidents. Even non-Latin Jamaica had a Lebanese President, Edward Seaga. The Arabs are wealthy, elite, and vastly overrepresented in all halls of power and the arts in Latin America. In Chile, Palestinian Christians are 10% of the Senate, though only 3% of the population. In Colombia, Lebanese are 10% of the Senate, though less than 2% of the population. What is ignored is that almost all these Western Arabs are Christian; or, at least, raised in a Christian culture. This undoubtedly explains their success, but no one dares admit it. This is the issue the Muslim world has to address. Our Western governments have to stop coddling the Muslims and telling them how respectable Islam is. Tell the truth. Without oil, Islam would be still be in the seventh century. If the Islamists have their way, they will revert there soon enough. In particular, the West should present the massive success of Arabs in Latin America as an example of what Arabs are capable of producing, once divorced from Islam. The problem is not the Arab -- who is capable of great genius, and has produced it -- the problem is Islam. So, is Islam holding the Arabs back?